Kaleidoscope is a business to business manufacturer. Prices assume delivery to a specified business address and are quoted exclusive of VAT. To view pricing and order products, you will need an online account. Please provide the information requested below to proceed. All account requests are individually assessed and we endeavour to enable access within 24 hours. The website has been developed to deliver the ultimate framing partner. Necessarily, options are myriad. 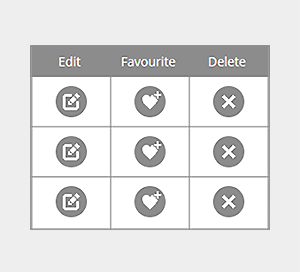 Once registered you can start to narrow the displayed options by defining your preferences. This is not a retail website. 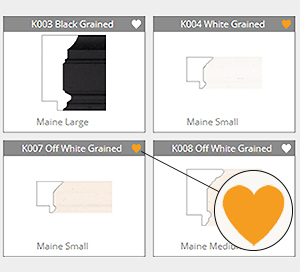 Many products are pre-defined, ready for selection, but others are systematically built to your criteria. 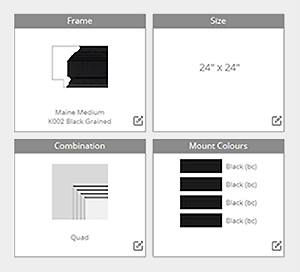 Registration gives you access to online mount designer software and interchangeable product components to create your own styles. Invent the wheel once and then use it time and time again with a single click. Once a favourite has been stored, not only can it be recalled it can also be tweaked to meet the customer's requirements. The online ordering facility keeps a track of your order status and warns you if anything is preventing progress. 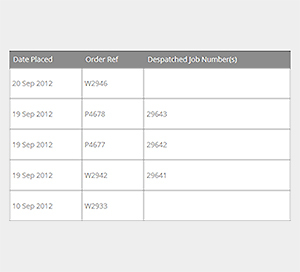 Once an order is despatched, all the detail is archived for easy referral at a later date.